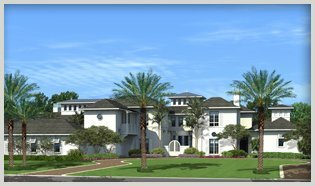 Old Palm can be defined as "the heart" of Palm Beach Gardens, one of the area's most prestigious golfing communities catering to residents who demand the finer things in life and world-class golfers alike, boasting supreme country club amenities. 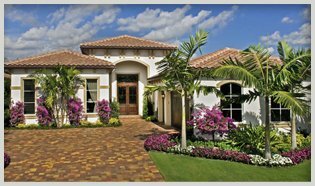 Real estate in Old Palm ranges from 3,400 to over 15,000 square feet in their four residential divisions: Golf Estates, Grand Estates, Custom Estates and Golf Cottages. Old Palm Golf Club is renowned for its 33 acre golf practice facility and the championship golf course designed by Raymond Floyd. The 43,000 square foot clubhouse features a full-time concierge to cater to members every need. The on-site fitness center includes indoor and outdoor massage areas to help members tune up before a game and wind down afterwards. Dining options at Old Palm include a unique private wine room and more casual Grill Room with open exhibition kitchen. 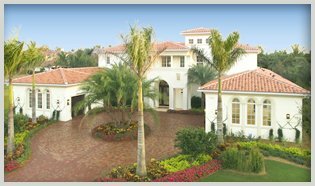 HRG Luxury Homes invites you to review a great selection of luxury real estate for sale in Old Palm as well as new construction opportunities in their three neighborhood collections. For more floor plan information, lot availability and new construction pricing, please contact one of our HRG Professionals.